FOOD glorious FOOD! serving it up is Rato Kim as she’s launched her own fast food version of Boxcat, HA. 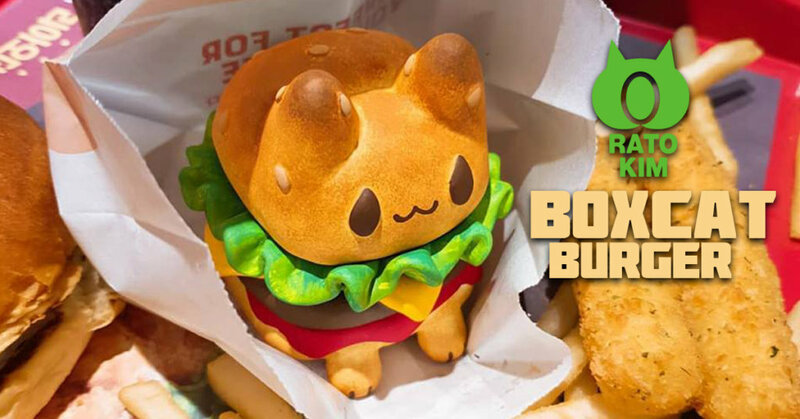 Meet/eat Boxcat Burger, coming with lettuce tomato and Ketchup. Don’t be squeamish as no real cats were used, Ha. Price 100usd / shipping 20usd). Look at what else is on the menu!